​When reading about prophecies and prophets in the Ancient Near East, many modern readers initially associate ideas of prophecy with figures that possessed the ability to see into the future. However, this is an incomplete picture of the role of a prophet. Robert Wilson examines the development of this view of prophecy, beginning with an examination of the word’s derivation from the Greek word prophetes. A prophetes was someone who had a connection with the Greek gods, specifically the oracles of Apollo and Zeus, and performed a role like that of a medium (Wilson, 1980, 22). Although these figures did not deal exclusively with predicting the future, the messages sometimes contained predictions and this began the association of the role of the prophet with the knowledge of future events. Wilson argues the modern ambiguity of prophecy also developed because of the translations of the Hebrew Bible into Greek, where prophetes was used to translate numerous words for different societal functions such as messenger and see (Wilson, 1980, 23). The role of the prophet, however, was not restricted to predictions about the future or to Biblical prophets. John J. Collins argues that records of civilizations throughout the Ancient Near East describe prophets performing a variety of roles. In Mesopotamia, male and female prophets received revelations through dreams, ecstatic activities, or in the temple. These revelations and messages were often related to the king, rather than messages for the common people (Collins, 2004, 299-300). In Assyria, the word for prophet is muhhu/ muhhutu meaning "ecstatic" or raggimu/ raggimtu meaning "proclaimer." Similar to Mesopotamian prophecy, the Assyrian tradition of prophecy involved messages concerning the king and other members of royalty. Assyrian prophets were given more credibility than the prophets in Mesopotamia who needed the support of other religious and spiritual figures to have their revelations taken seriously by the king. While many other artifacts and evidence of prophecy in the Ancient Near East is limited, the over two thirds of the Assyrian oracles were written down on tablets, which can be preserved (Collins, 2004, 300-301). The prophets believed the messages would benefit society beyond the current situation and because of this, researchers are able to study prophecy in the region. Collins also argues that our view of Biblical prophecy has been shaped by centuries of canonization of their writings. In Israelite society, the prophets were often connected through guilds and needed to be respected by authorities in order for the message to be credible to the people they were addressing. The prophets most people are familiar with today are predominantly the ones who tended to break away from this system and stand in a more individual sense, rather than as a member of a group (Collins, 2004, 301). In the same way that books whose message stands out as unique, address a contentious topic, or are provocative are the ones that get passed down to future generations, prophetic books which went against the guilds, such as Amos and Jeremiah, made lasting impacts and are still read today. While prophets who drew the most attention wrote outside the traditions of the guilds often critiqued religious and political systems of the time, the scribes in later generations who copied and edited their often transcribed the text of these prophecies to make them fit in with the rest of Biblical tradition (Collins, 2004, 302). As a result, the prophetic books we have inherited today may not reflect the reality of the phenomena of prophecy in Ancient Israel. While the role of prophets varied from culture to culture, the nature of prophecy itself also evolved over time due to a variety of factors. Menahem Haran argues that a major shift from early prophecy to classical prophecy occurred in Israel in the 8th century B.C.E. 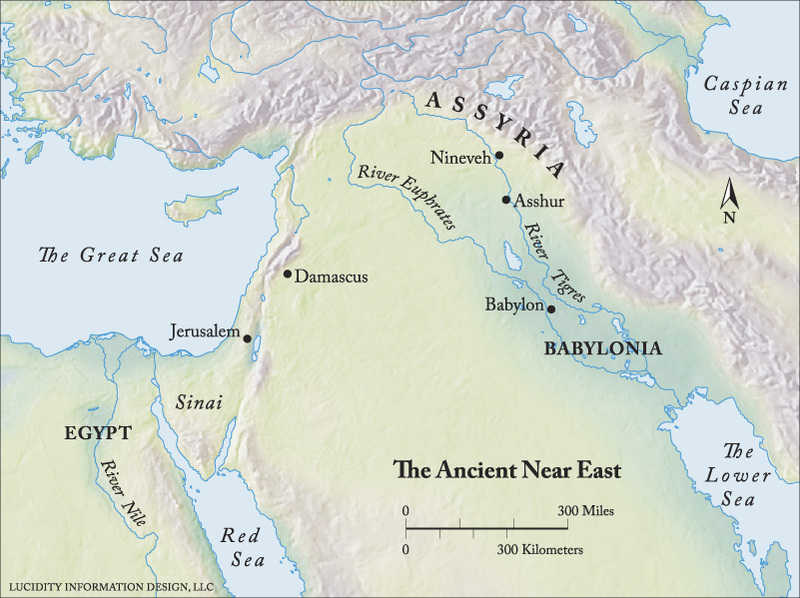 Early prophets before the 8th century were more similar to those in the nearby regions of Assyria and Mesopotamia. These prophets were much more ecstatic, receiving their revelations with musical instruments, dance, and other aspects that would overwhelm an individual as they receive a revelation. A second feature of early prophecy is that it was connected to specific physical sites associated with divine activity. Haran provides examples such as Mount Sinai where Elijah receives the messages regarding Israelite worship of Baal and the Holy of Holies in the temple where God called Samuel (Menahem, 1977, 385-387). In contrast to these more mystical religious experiences, prophecy after the eighth century most obviously differs in that it is a literary prophecy. The literary aspect of classical prophecy shaped not only the way the message is received by a reader rather than an audience, but also the messages read like well-rehearsed speeches rather than spontaneous divine revelation. Often the prophet would deliver his message and then write down his reaction to the message in a 'monologue' like those of Jeremiah and other Hebrew prophets (Menahem, 1997, 389). As a result, the written records of prophecy accessible to readers today encompass not only the message the prophet proclaimed to the people, but also the monologue containing the prophet’s emotions and reflections. Joseph Blenkinsopp provides a different interpretation of the distinction between early and classical prophecy and argues creating such distinctions can lead to false beliefs about the nature of prophecy. He argues that while there is a clear distinction between the written accounts of prophecy, the original divine messages received by all prophets and given to the people were very similar despite the form of their delivery. Separating the two categories, he concludes, lends to the assumption that classical prophecy was more reliable and authoritative and diminishes the importance of ecstatic revelations (Blenkisopp, 1927, 86-87). While it is important to recognize the value of revelation in the role of the prophet, Haran provides a more convincing argument that prophecies should be considered in the two different forms. Because many people only consider the written prophecies that are most easily accessible in Biblical texts, it is very important to recognize the other forms of early prophecy in the cultures of the time, other than relying solely the written prophecy in the Hebrew Bible. Although his goal was to preserve the authority of early prophecy, Blenkinsopp's model of deemphasizing the differences between the two would essentially lead the majority of people to assume that written prophecy is the only form used in Hebrew culture, which would serve to lessen the importance of early prophecy. Through research of prophecy in the Ancient Near East and across different time frames, it is evident that prophecy involves much, much more than the ability to predict the future. The prophet served a major role in society as a social critic, a messenger to royal authorities, and a mediator between the divine and the people. While gaining a better understanding of these roles is crucial to the study of prophecy, an understanding of the history behind the transmission of these messages from generation to generation and a recognition of the consequences of the shifts in the form is crucial gaining a true understanding of the impact prophets had in their societies and in the Biblical texts. In the Hebrew Bible and in the New Testament, God uses prophecies to speak to his people; it is a tool that God utilizes to connect with them. These messages may be personal or general. Most of the time, God employs the prophets to relay the message to others. Prophets are symbolized as a mouthpiece for God. Prophecies also have multiple functions like giving advice, warnings for the future, and the clarification of God’s word. The function depends on the time and period of the prophet. While this basic definition of prophecy does not change between these two bodies of literature, the form of prophecy transforms. In the Hebrew Bible, where the ideas of prophecy began is disputed and many scholars have different view on this aspect of prophecy. Some say that Adam was the first prophet and some say that it was Abraham, but no matter which individual prophecy originates with, a prophecy is God interacting with a prophet who delivers the message. It is only God's word that is being passed on to the people of Israel, as He has directly spoken with them. This concept differs from the New Testament prophecies; in the Hebrew Bible the prophecies are only being communicated to God's chosen people and no one else. The prophecies of the Hebrew Bible have many functions for the people of Israel. T. Miles Bennett argues that the purpose of the prophecies of the Hebrew Bible is "to prepare for the event of his first coming as God brings to fruition his plan of redeeming man from his sin" (Bennett 1974, 72). In the Hebrew Bible, many prophets predicted the life and death of Jesus; other prophecies were often warnings to Israel to maintain his covenant. For example, the birth of Jesus is foretold in Isaiah 7:14 as it is written, "Therefore the Lord himself will give you a sign. Look, the young woman is with child and shall bear a son, and shall name him Immanuel" (Isaiah 7:14). Prophets also warned the Israelites when they fell away from the covenant as shown when Hosea says, "I know Ephraim, and Israel is not hidden from me; for now, O Ephraim, you have played the whore; Israel is defiled. Their deeds do not permit them to return to their God. For the spirit of whoredom is within them, and they do not know the Lord" (Hosea 5:3-4). In these instances when God instructed a prophet to reprimand others some people were insulted; therefore, the reaction towards prophets differed. Some kings detested prophets and wished for them to be killed; King Ahab, for example worshipped Baal, so when Elijah sent a drought over the land and humiliated and killed his prophets, it made Ahab quite angry (1 Kings 18). On the other hand, J. Blake Couey refers to King Zimri- Lim, who had his attendants report to him the messages of the prophets in his area. Zimri-Lim also had the prophets take an oath of loyalty preventing them from giving the King false information. Couey explains that, "The oath demands full disclosure of any oracle that the diviner should take on behalf of the King or a private citizen, while simultaneously requiring confidentiality regarding inquiries made by the king" (Couey 2008, 303). King Zimri-Lim was very paranoid about what the prophets were saying. It would seem the king was slightly frightened of God and wanted to make sure he was following him accordingly. This illustrates how the prophets possessed some authority when it came to the Kings and the royal family. In the New Testament prophecy shifts to a more indirect revelation, confidence while spreading the gospel, and wisdom to inform others of God's will. During this time, Christianity was just beginning and prophets were trying to make sense of the information that Jesus left behind for humans. These prophets were receiving clarification from God on important aspects of his instruction for Christians in order to transmit these messages to the new believers. In the New Testament, the interaction with God is not as direct as it is in the Old Testament: the Holy Spirit gave the prophets certain abilities that they utilized to spread the Gospel. According to John Penney, the Spirit gives the prophets abilities such as: direct revelation, charismatic wisdom to speak with confidence, increased boldness and assurance, insight in a situation, guidance, direction, and predictions of future events. (Penney 1997, 36-84). When in Cyprus, Paul and Barnabas were opposed by a magician, Paul rebuked him that through the power of the Spirit Paul made him blind and the magician believed in the Lord (Acts 13:4-12). The term “parrhesia” according to Stanley B. Marrow is the ability to speak openly and not feel the need to conceal, to have courage to be open. Many prophets of the New Testament were given this ability when speaking and sharing the gospel. Again, in Acts believers gathered together as the people of Israel threatened them and the Lord saw their situation so he gave them boldness (Acts 4:23-31). Parrhesia is also given to regular believers to allow them to speak the gospel to others. God expected these people to spread his message throughout the world. This is very distinctive from the purpose of prophets in the Old Testament. The prophets were given the boldness to speak to others; it did not just come from within them (Marrow 1982, 431-446).